Unity brings great technology to Serious Game developers. You can focus on the learning experience, and let Unity do the heavy lifting. According to their site, "it's time get Serious Games rid of the bad image that using dated technology has given them. It's time to make Serious Games that play like modern games." 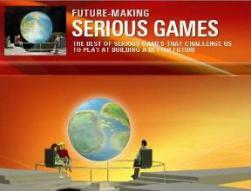 Nicholas Francis, is the game director of Serious Games Interactive. Before that he was the guy who did Unity's shader system and a co-founder of Unity Technologies and producer of GooBall. 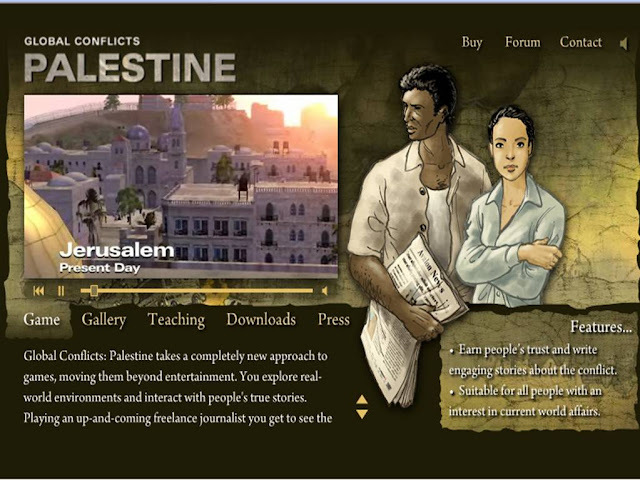 Global Conflicts: Palestine is a game about the Israel/Palestine conflict, where the player takes on the role of a journalist covering the conflict. 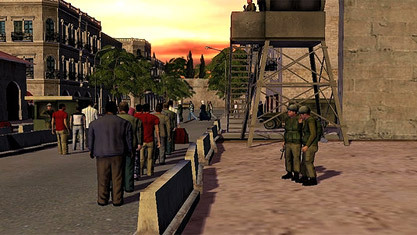 The goal is to let the player experience both sides of this conflict. This is something that can only be done properly in an interactive media. 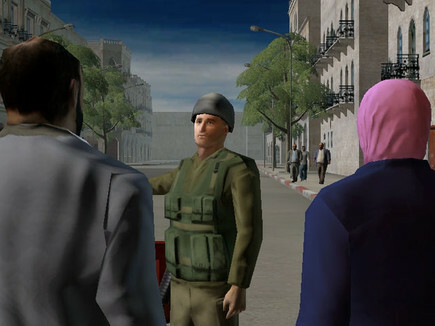 Thanks to Unity, Serious Games Interactive has delivered a rich environment that gets the feel of the dirty street hustle of east Jerusalem, and still lets us get into close-ups on the in-game characters so you can see their facial expressions (which is an important gameplay element). "Besides Unity, we use Maya, Photoshop and ZBrush. We pretty much have the same pipeline as most next-gen game studios use", says Nicholas Francis. "Everything gets assembled in Unity." Developer Profile: Big Brainz, Inc.
Big Brainz is a game development studio which focuses on educational games. They're currently in the process of switching their production to use Unity (See also my prior post Serious Games For Total Multiplication Mastery). Ben Harrison is the founder of Big Brainz. 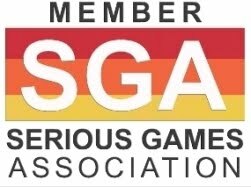 After 10 years working on AAA video games, he decided to use all that high-end technology and gameplay to reinvent the children's educational video game industry. And Big Brainz was born. Their first game, Timez Attack, has over 60,000 users in 38 countries, but to continue to grow the franchise they needed a more versatile, efficient engine. 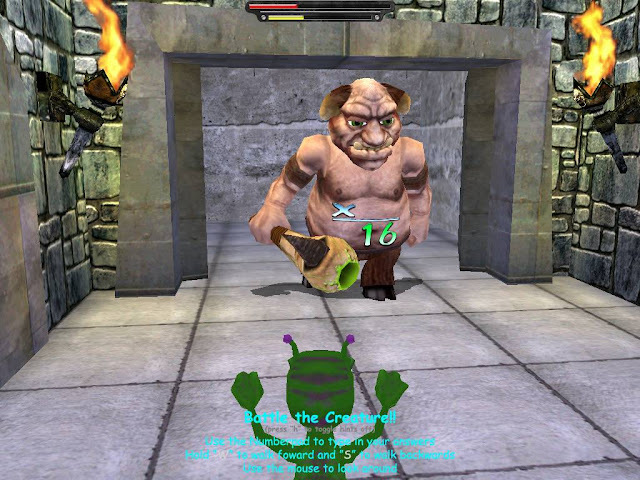 They started porting their entire game over to the Unity engine in spring 2006. Other applications used in the production were Maya, Photoshop, Vegas, Forge. The best part of the Unity experience was Maya integration and mindset. They have a lot of guys who've spent years and years becoming experts with Maya. Unity builds on that toolset and mindset by making integration simple and by creating an engine that's artist-friendly. This mindset lets them spend their time making the game rather than pounding on technical challenges all the time. When they need to use a feature that's built into Unity it works beautifully. Eduweb develops award-winning digital learning activities about art, history, science and technology. With a mission to create exciting and effective learning experiences, they've really taken to Unity. Dave Schaller is the founder and principal of Eduweb, a small firm based in St. Paul, Minnesota. They develop digital learning games and interactives, mainly doing custom projects for museums, zoos, and aquariums around the U.S. They have two Unity projects. 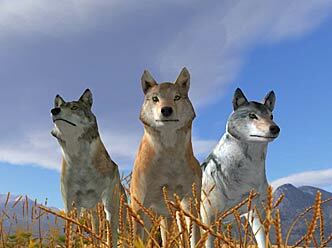 The bigger one is WolfQuest, in which players become a gray wolf and try to survive in the wilderness. They originally planned WolfQuest as a Shockwave game, so you can imagine how excited they are about what Unity can do. It far exceeds what they pictured when they wrote the grant, in visual quality, scope, and depth. 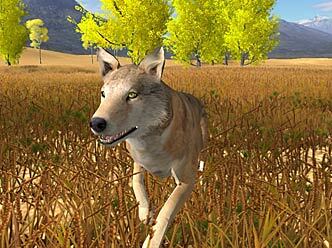 The gameplay calls for fairly sophisticated wolf behaviors and social interactions, but they've found Unity is certainly capable of handling it all. Good tools are so critical to good work both a good product and a good experience making that product. 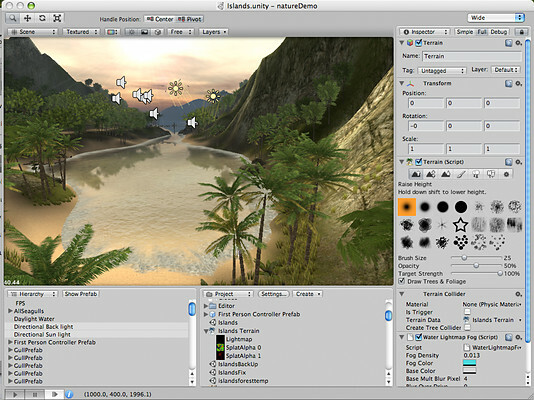 Unity is about as easy to use as you could imagine for such a powerful and complex tool. And having the Unity team just an email away is awesome mostly for the quick assistance they provide, but also for the fraternal feeling it creates. 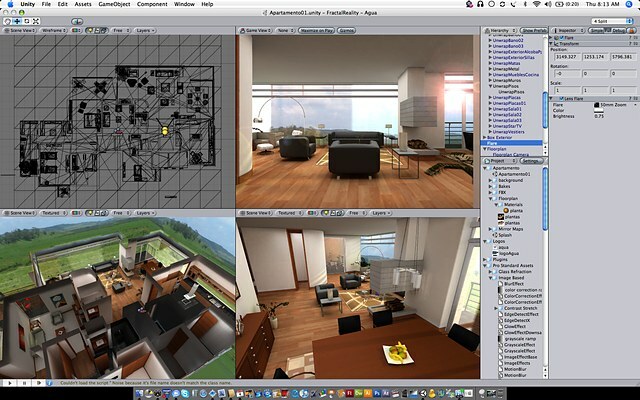 The Unity game engine is happily married to the Unity development environment. This tight integration allows the Editor to do everything a published game can do. The simple, visual, and intuitive nature of the Editor makes building games fun again. Every part of every GameObject (positions, rotations, scales, colors, etc.) can be animated with an integrated keyframe animation interface. This is in addition to the fully-featured character animation system. Streamline your workflow using simple, Editor-specific scripts. Extend the development environment with wizards, menu bar options, context menus, and object visualization. Visually drag assets and objects in the editor to assign Textures, Audio, Behaviors, and script variables. Create logical GameObject hierarchies to manage and maximize your game's functionality. To streamline the repeated use of complex GameObjects, you can turn one or more of them into a Prefab. This Prefab can then be easily placed throughout the game or instantiated at runtime. Any changes to the original prefab are propagated to all dependents, so both major and minor adjustments can be made very quickly to a large number of GameObjects.